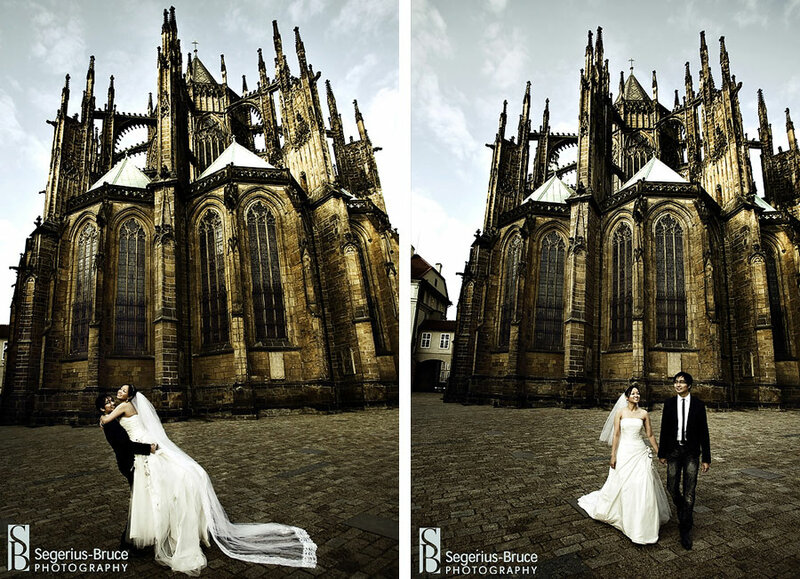 Prague, City of 100 Spires. 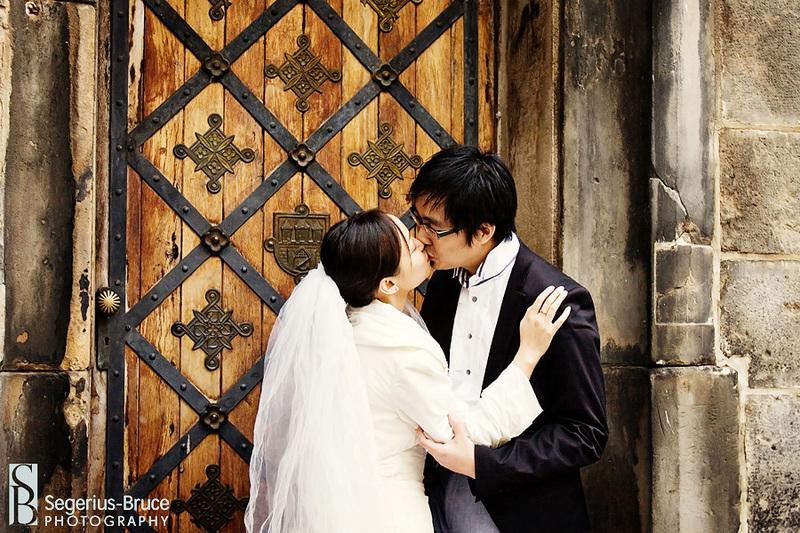 This was the chosen Chinese Pre Wedding Shoot destination for Eric and Susan, partly due to the stunning architecture which the city is famous for but mainly for the fact that Eric had proposed to Susan on Charles Bridge. Regulars to our blog will notice that Eric and Susan have already been featured here during a photo shoot in London. This was also covered on Rock n Roll Bride where the little pink dress received many approving comments. We were extremely honoured that they were so pleased with the London shoot that we were asked to capture them similarly in Prague. We decided to do the shoot in two installments over two days wanting to take advantage of the light at sunset and sunrise. The first shoot was originally scheduled for the Sunday evening concluding with the second on the Monday morning. Because of the unexpected weather conditions the first shoot was moved forward to the Saturday evening. We started in the Old Town Square at the Astronomical Clock and moved around the Old Town. The amount of people was a little overwhelming so we sought out the lesser traveled streets and alleyways while getting in the sights. 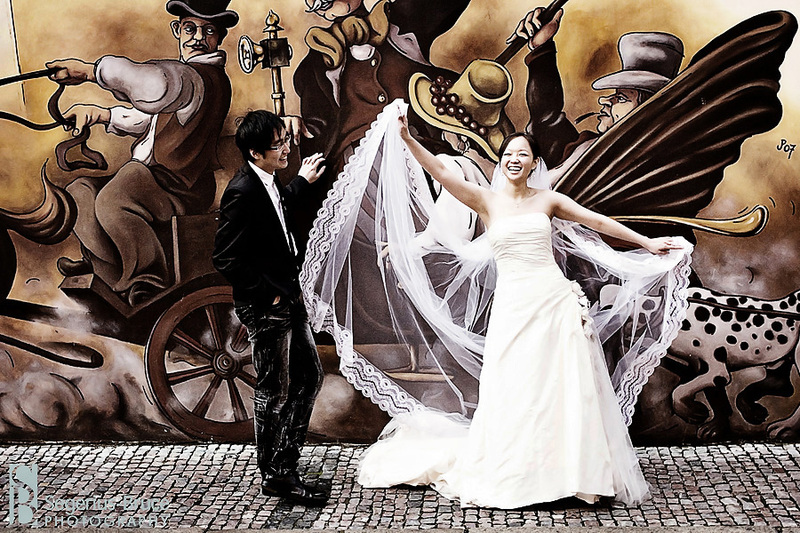 A beautiful bride and groom is sure to the get the attention of well wishers and passers by. Having to navigate cobbled streets in heels is no easy feat, but with a constant smile in the unexpected biting cold made working with them a pleasurable experience. Early Monday morning found us making our way up towards the Prague Castle while clouds cleared before the sun revealing Prague in glorious morning light. Early morning also guarantees lesser crowds to negotiate. The impressive castle dominates the Prague skyline and is quite a feature to behold. 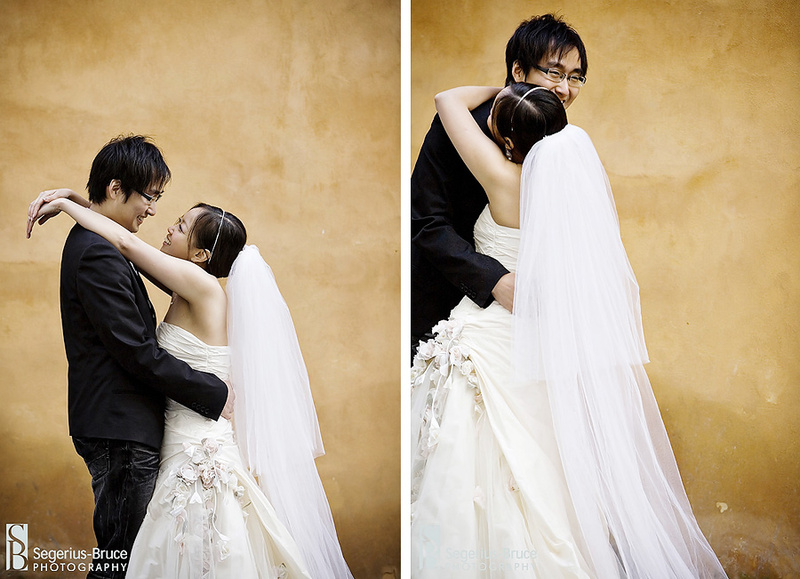 We find having a couple to photograph on location allows us to appreciate the location that little more. Details seem more pronounced as you incorporate your subjects with your surroundings. We were therefore quite blessed that we got to experience Prague under these circumstances. We got to experience the architecture, the history, the cuisine, the charm and above all the romance of this famous bohemian city. Note: with our new blog layout you need to click the “Keep Reading” link at the bottom of each post to see the entire post with all the images. WOW…great pictures!!!!!!!!!!!! !, I love it! I have been sent several email to you..may be lost it ! May I have your price list. Thanks! 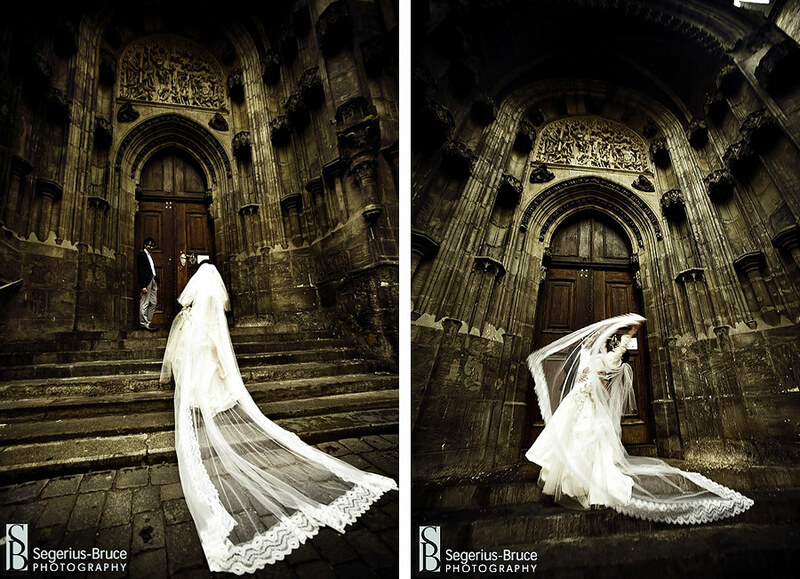 I really like the first pictures outside the church, that church is a Monster. Almost kind of SinCity style on some of the photos, that’s new thinking ! Absolutely beautiful! Great to see this session! Great shots. I wish I could take the photo you had done. I am interested on the pre-wedding pic, may I have your rate card? Wow – what a beautiful backdrop to the wedding photos. 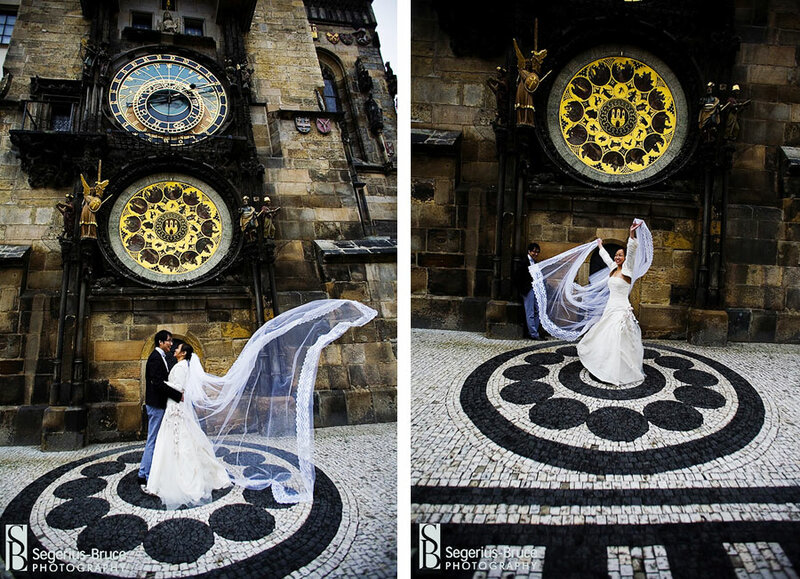 Great wedding and Prague memories for the bride and groom. They are lucky to have such beautiful photos to remember this day.